IO Interactive is ready to settle the age old dispute, "who's the better bald assassin?". 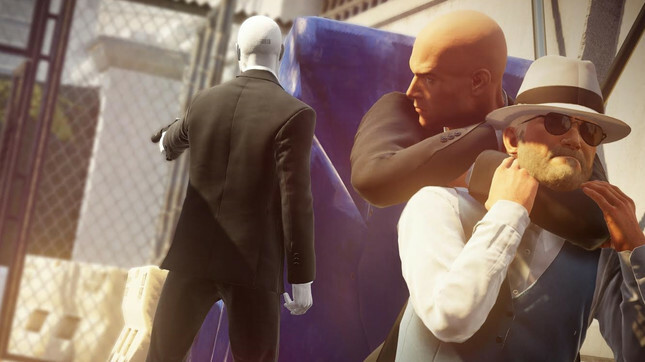 In a first for the series, Hitman 2 will pit two players against each other in a real-time rush to see who can eliminate five targets first. "Ghost Mode in HITMAN 2, gives players the chance to simultaneously hunt targets while in the same location and can see a “ghost” version of their rival gamer to track progress against their own, but they exist in separate realities unaffected by the actions of their adversary. In Ghost Mode, the player who can outsmart, outplay and outkill their opponent by eliminating five targets first, will declare victory." While players wont be able to interact with their opposing assassin directly, there will be a "Ghost Coin" which can be tossed into your opponent's world to thwart their murderous plans. Ghost Mode will only be available for the Miami location at launch, with plans for additional levels to follow after launch. Hitman 2 launches on PlayStation 4, Xbox One & PC on November 13.